The decision to leave Rishabh Pant out of India’s World Cup squad has been the subject of intense debate. 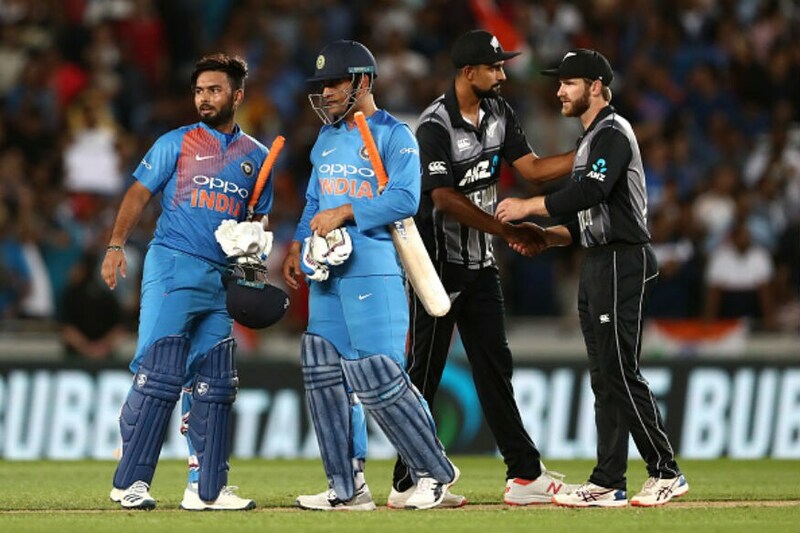 The 21-year old, regarded by many observers as a game-changing talent, lost out to veteran Dinesh Karthik to be M S Dhoni’s back-up with the gloves in the tournament. Chairman of Selectors MSK Prasad, when asked about why Karthik was preferred, indicated that the panel came to the conclusion that Pant wasn’t quite ready to be thrown into the deep end in a crucial game as a wicket-keeper. Former India wicketkeeper Ajay Ratra, who was recently appointed the India Under-19 wicket-keeping and fielding coach, saw Pant from close quarters while working at the National Cricket Academy (NCA) earlier this year. Ratra noticed a couple of areas of improvement needed in Pant’s skills behind the stumps. Ratra, who played in six Tests and 12 ODIs for India, felt that the selectors were faced with a very tough choice. “Rishabh’s batting is more suited for the shorter format but ironically he has scored more runs in the Tests. He has scored centuries in two overseas Tests. But his performances in ODIs and T20s have been very patchy. Some of the blame lies with selectors too, there was some confusion where he was rested for some series, picked for others. “Karthik also hasn’t set the stage alight with his performances. Apart from his knock in the Nidahas Trophy in Sri Lanka, there was not much to write home about. Then Dhoni was picked for T20 series, the confusion was started from there onwards. So, at the end of the day, there was no clear-cut choice between Pant and Karthik,” the 37-year-old from Haryana, said. CricketNext has learnt that heading into the meeting on Monday to select the World Cup squad, Pant in fact had the edge over Karthik, with four of the selectors in favour of blooding the Delhi southpaw. However, Prasad and even skipper Virat Kohli are believed to have argued that the experience of Karthik and superior wicket-keeping skills will be crucial if first-choice stumper Dhoni has to miss a crucial tie such as a semifinal or final. As an example, the Mohali ODI against Australia last month was highlighted, where Pant gave Ashton Turner a couple of reprieves as the Australian smashed a series-turning 84 off 43 balls. In fact, ahead of the series against Australia, Prasad had made it clear that Pant was firmly part of World Cup “scheme of things”, with the need for a left-hander in the middle-order. “We have included him (Pant) because he is a left-hander, we have discussed with the team management also and Virat (Kohli) was also part of the meeting. We’ll figure out the best possible batting position for Pant because being a left-hander there is advantage of having a left-right combination,” Prasad had said after the announcement of India’s squad for the Australia series in February. “Prior to this in two series in Australia and New Zealand, Karthik was chosen because Rishabh had played four Tests and T20s. We wanted him to get a good break and then he played some one-day games against England Lions and did extremely well. Then we picked him for the T20s in NZ. We want to give him few ODIs also before taking a final call,” the chairman of selectors had said back then. However, that line of thought was dispensed with while taking the final call. Prasad made it quite clear on Monday that Pant or Karthik would only have been picked in the playing XI if Dhoni were to get injured, leaving no room for either to play purely as a specialist batsman. That role was identified for Vijay Shankar, who Prasad said, was the designated number four in the batting line-up. “There was a case of taking Pant as a specialist batsman because of the X-factor that he gives to the side. But the selectors wanted backup for every department, be it all-rounder or wicketkeeper or spinner. That’s where Pant missed out,” a senior BCCI official said. The other factor that is believed to have gone against Pant was his inability to finish off games in the limited opportunities he has had, although he has played only five ODIs so far. Ironically, in March, Pant had been handed a Grade ‘A’ contract, with Dhoni being the only other wicketkeeper in this category, while the two other contracted keepers - Karthik and Wriddhiman Saha — were only given Grade ‘C’ contracts.